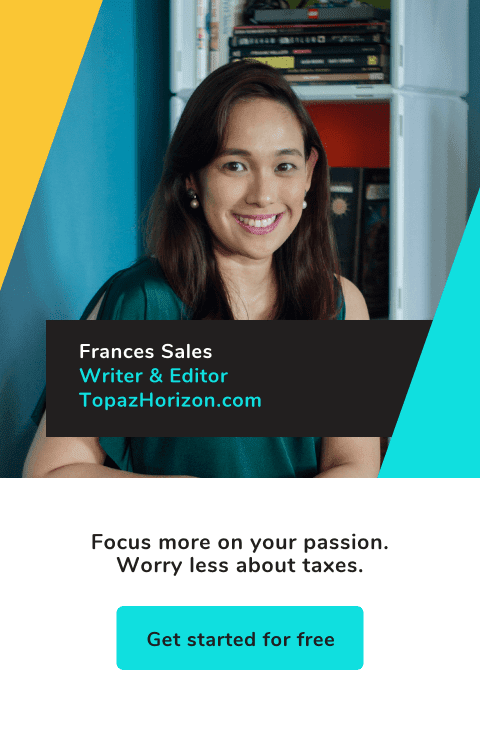 TOPAZ HORIZON: Lovely new things! It's Mariel's fault. She blogged about these classic flats last week so I bugged her to go shopping because I just had to have one. Turns out I had to have two! At just PHP 799 (USD 17) a pair, why stop at just one? Run to the nearest CMG shop because these babies come in 4 kinds (gold, silver, pewter and bronze--the last two colors are the ones I got!). They come in matching pouches, which really add to the adorable factor. I also bought these flats from Schu. The big gold design did it for me. It also comes in black and white. I'm still deciding if I should get the black even though I already have 3 black flats--the sequined ones, jelly ones and my pompom ones. Argh, shoes are my undoing really. Accessories, too. 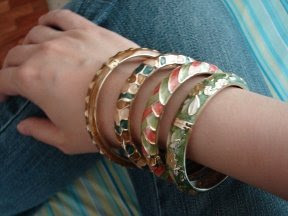 I found these bangles in a tiangge (cheap shop stalls) and I bought 10 pieces, each a different design. I couldn't resist! The bangles are perfect when I'm wearing my usual tee-and-jeans combo (left) but they also look great with my simple sheath dresses. Sigh... With all the shopping Vince and I have done (the house, the gadgets, etc), I guess we could've gone on that Disney cruise already! Well, maybe not the cruise yet, but definitely a trip somewhere! Speaking of trips, we will be gone all weekend! Vince and I and his family are all going to Batangas, to an exquisite resort called Acuatica. Will come back with photos, and I do hope it won't rain! I love ballerina shoes (flats). I have gold, black, pink, red plaid, cream and green with a bow! The shoes you bought are gorgeous and surprisingly inexpensive. Enjoy your weekend getaway! 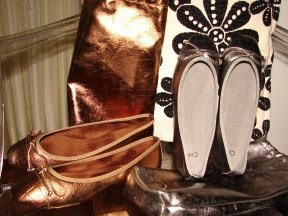 Wow, Duni, and here I was feeling guilty over my flats--you have more than I do! Mai, yes, go soon! I hear they're selling like hotcakes! So lovely! ah I want some new flats now ! Hi Kaith, ya, when they go on sale, it's CRAZY! So kainis kasi I bought these, di sila sale!